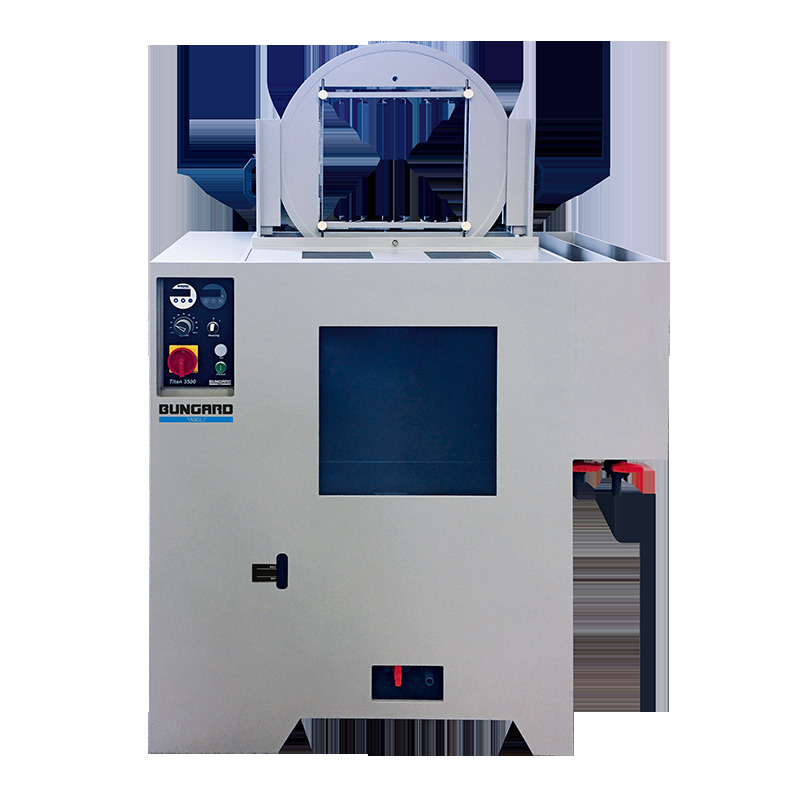 The Titan 3500 is a double-sided spray etcher for highprecision applications. the formation of an etch shadow and uneven etching by e.g. the trace geometry. This enables structure resolutions down to 30μm with a copper thickness of 40μm. As material PVC and PP are used, all metal parts that come into contact with the etching medium are made of titanium, e.g. the titanium heating, etc. The side walls and tank bottom are made of 8 mm thick PVC. This results in an extremely robust compact construction. The highprecision etching result is achieved by the uniform volume flow of the nozzle spray bar in conjunction with the rotating clamping wheel and the uniform liquid flow of the etching medium. The special nozzles are internally designed in such a way that the full spray cone strikes the rotating etch material with a twist. During the etching process, the clamping wheel is constantly rotated via a geared motor and transport rollers. The titanium heating is controlled by a digital thermostat. The etchant pump is controlled by a digital timer with automatic reset and final acoustic signal. Setting range 0-599 seconds.